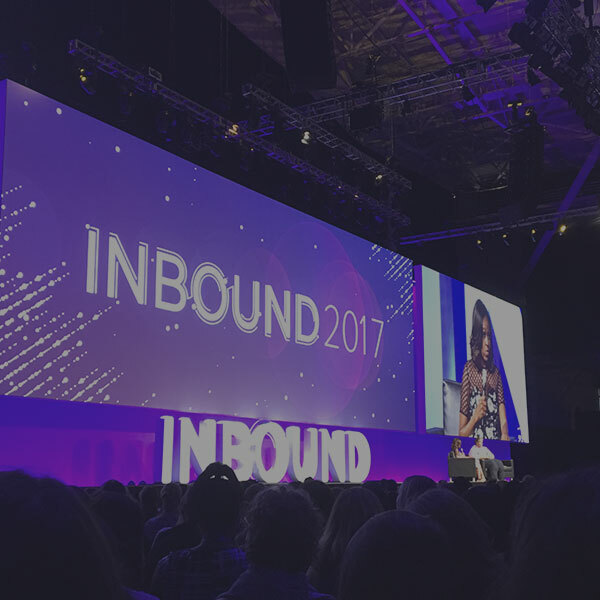 Three days after I joined the TBH Creative team, I attended the 2017 HubSpot Inbound Conference in Boston. Before that point I had never visited Boston, attended a professional conference, or worked in digital marketing. Needless to say, I learned a ton of brand new information, met a lot of people, and figured out the basics of inbound and digital marketing. Here are the four biggest lessons that I learned during that week of training. I really like watching those 30-second recipe and cake decorating videos that pop up on Pinterest and Facebook. Square videos are optimized for viewing in newsfeeds and on mobile devices, and more often than not, they have subtitles because up to 85% of videos on social media are watched with the sound off. I love when I get an email with a $15 reward waiting for me in my online shopping account a few days after putting items in my cart that I never ended up buying. Studies show that people are two times more likely to avoid loss than they are to actively seek benefits because most people want things that they think are limited. I recently received an email asking me to leave a review for a dress that I bought, and I could write and submit the review without ever leaving my inbox. It was the first product review I’ve ever written, mostly because I thought it was so cool that I could do it conveniently all within my inbox, and I didn’t have to remember my sign-in information. I was happy because I experienced the novelty of an email feature that I’d never seen before, and that company got what they wanted, too: a product review. Just a few real-life examples made me realize how ingrained digital marketing is in so many aspects of our lives online. Digital marketing is a very broad term and what it encompasses is constantly changing. That's because it’s used to describe any and all online marketing efforts from videos to ebooks. In the history of marketing, no method has evolved so quickly. In almost every session I went to at Inbound, the speaker prefaced their presentation with, “This is what we are seeing today as a current best practice, but it could all be wrong next month,” and they weren't joking. Since the rules are always evolving and you can’t be complacent purely because you have experience, trend spotting is critical. It’s as much a part of your job as anything else. You can’t learn everything there is to know about how to create the perfect, search engine optimized website with all the right media, because what makes it ideal changes all the time. What you can do is make trend watching a part of your routine, so that when some new techniques start gaining traction with your target audience (whether it’s podcasting, live streaming, or augmented reality shopping experiences), you aren’t blindsided and can start incorporating these new tactics into your digital strategy. I was surprised by the minute level of detail you can access when it comes to metrics. Total visits, traffic by source, new vs. returning visitors, how much time those visitors have spent on the site, what articles and videos they have seen, how much of those videos they have watched, what videos they are likely to watch next, what their journey through the site looks like, and what kinds of messages you should send them to carry them farther into the buyer’s journey—this list just scratches the surface of available website analytics. If you can think of it, you can measure it. Of course, data is important. We need ways to track return on investment and learn which marketing efforts work best, but many speakers pointed out that there’s a dangerous potential of getting lost in numbers and forgetting why you’re doing what you’re doing in the first place. It’s all about your audience, your customers. If your website, CTA, email, or social post gets your audience to do what you wanted them to do, then you’ve been successful. Measuring just for the sake of measuring doesn’t do your customers—or, ultimately, your business—any good, so make sure you’re intentional about what you track and how this information will help you reach your goals. Creating quality resources doesn’t happen overnight. In order to build a library of content your customers actually want to read, you have to start by doing research. Research your customers to create buyer personas, and spend time learning your buyer’s journey so that you know what kinds of information they are looking for along the way. Content marketing is solution-based, not product based. It takes time to understand your customers and learn how to create content for them in a way that brings in quality leads to your business. Present it in a video or infographic. They say it’s good marketing if you don’t even realize that it’s marketing. That is the essence of inbound marketing, and it’s where digital marketing as a whole is headed. In every session, digital marketing influencers and thought leaders made it clear that what matters most is creating content that adds value to your audience’s lives. Since digital marketing is so fast-paced, that means the form of content will continue to change and so will the methods that will work to effectively promote it. But in the end, this is what the future of marketing looks like—and, I can’t wait.